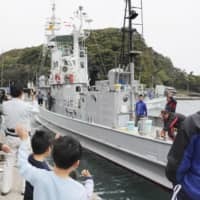 WAKAYAMA - A whaling vessel left the port of Taiji, Wakayama Prefecture, on Friday for the last mission of what the government calls a scientific research program before the country withdraws from the International Whaling Commission and starts commercial whaling from July. The No. 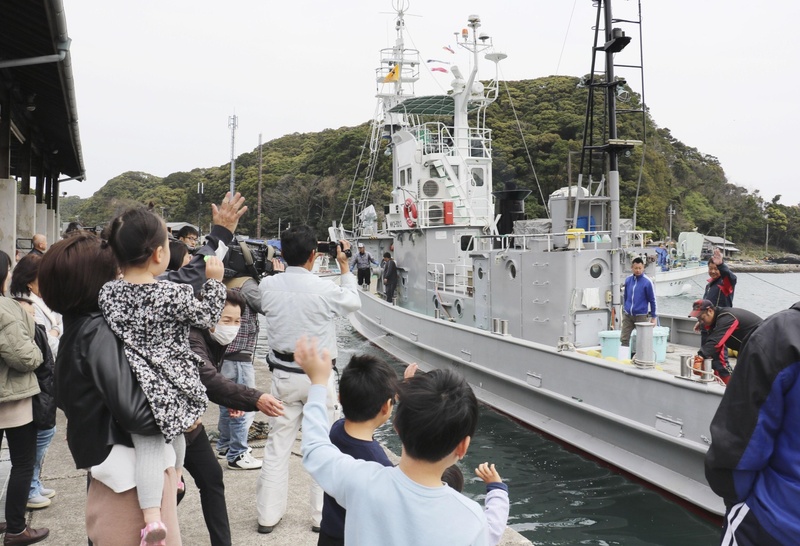 7 Katsu Maru departed from the town, known for its whaling and dolphin-hunting practices, to join several other vessels on the mission to catch minke whales between April and June. The vessels are scheduled to catch 80 whales off Miyagi and Aomori prefectures and another 47 whales off Abashiri in Hokkaido to collect data on their age and size, among other information. The Taiji vessel is expected to take part in commercial whaling, which Japan will resume on July 1 for the first time in 31 years, the day after the nation officially leaves the IWC. The ship will hunt minke whales for about a week from its base before reaching Kushiro in Hokkaido, or Hachinohe, Aomori Prefecture, which have facilities for processing whales. Japan halted commercial whaling in line with a moratorium adopted in 1982 by the IWC, and has hunted whales for what it claims to be scientific research since 1987 — a practice criticized internationally as a cover for commercial whaling. Tokyo notified the IWC of its withdrawal in December after its proposal to resume commercial whaling and change decision-making rules at the body was rejected at an annual meeting in September, amid a long-standing rift between pro- and anti-whaling nations.